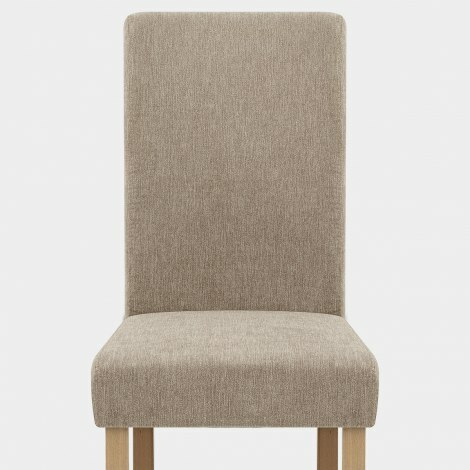 The Jackson Dining Chair Mink Fabric is a fabulous choice for those seeking a classic design at an affordable price. A traditional yet stylish item that is suited to a variety of dining settings, the Jackson makes a super smart addition to the home. Designed for quality comfort, the seat is filled with dense foam padding and features a supportive backrest. Plush mink fabric covers the design and adds a fashionable feel. Four solid wooden legs make a sturdy support for the seat, and each one is complete with a natural oak finish. Practicality is added with the inclusion of protective floor pads underneath the legs. "They are very sturdy and so easy to put together "
Arrived really quickly perfectly packed, great quality for price (as per usual with Atlantic), we have had other 4 chairs in the past. Would not hesitate to recommend ! I love these chairs!! 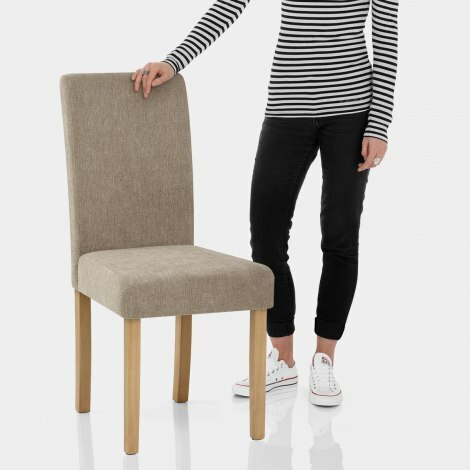 Sturdy, easy to put together and comfy to sit on, they look so much more expensive than the price suggests. Would definitely recommend these chairs. I'm extremely pleased with my Jackson chairs they are very sturdy and so easy to put together delivery was brilliant I ordered Sunday and got them Monday morning. Thank you Atlantic shopping I have recommended you to a few people as you are first class.